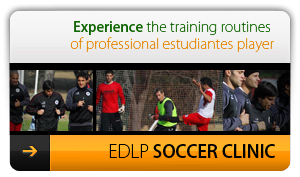 We at Estudiantes de La Plata have initiated a program that enables your soccer association and athletes to donate used soccer gear, whether that is used warm-up apparel, soccer cleats, gym shoes and/or old uniforms. We will pass these items on to those less fortunate in our soccer community. Your donations will go to kids here In Argentina. Living In a global world, Community service has taken on a more expansive meaning and think of how proud your athletes will feel when they help out a fellow athlete in the developing world with less means. To many of these kids who play barefoot or in worn out t-shirts and brave the winter elements without jackets, you can imagine how much your generosity would mean to them. So on your teams trip down to participate in our "Estudiantes de La Plata experience" ask each athlete to pack something "extra" to donate to this cause or as a group, fill up an extra duffle bag or two to leave with us. We will make sure it gets distributed appropriately. 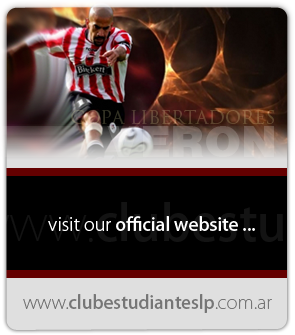 © 2010 Estudiantes de la Plata. All rights reserved.